A revised version of this essay is included in the recently published second edition of my (Freeway Flyer/Paul Swendson) American history book. I Published a Second Edition of my Book! When Great Britain decided to put down the revolt in its thirteen colonies, there were plenty of reasons to think that they would succeed. They were stronger than those troublemaking American colonists in every way. The British had a well-trained and fortified army. The rebels were trying to piece together an army from its various semi-trained militia groups. An island nation, the British had always placed great emphasis on its navy, which was without a doubt the most powerful on earth. The Americans, on the other hand, initially had a “navy” consisting of whatever boats they could dredge up. In those early days, the American military was essentially a bunch of guys with guns and a few boats. They had military potential, but it would take time for this potential to be realized. To help fund its effort, British also had the backing of the most sophisticated economy on earth, including access to resources from a global trading network. The Americans had great economic potential, but much of the colonial economy was based on exports to Great Britain. With access to this market cut off, they would have to go through a difficult adjustment period. The British also had a well-established government that backed a stable currency, could easily borrow money, and would continue to exist regardless of the outcome of this war. Meanwhile, the Americans were trying to form a single nation from what had traditionally been separately governed colonies. It was not until near the end of the war, in fact, that they settled on an official system of government. And the ability of this “government” to create a stable, accepted currency and to borrow money to fund the war was restricted by the lack of any guarantee of its continued existence. Loaning money to this new nation or even accepting its paper currency carried with it a certain amount of risk. So outside of having a weaker military, economy, and government, things were looking pretty good for the Americans. But the colonies’ problems did not end there. A significant percentage of American colonists did not actively support the cause, and many others remained strongly loyal to the British. 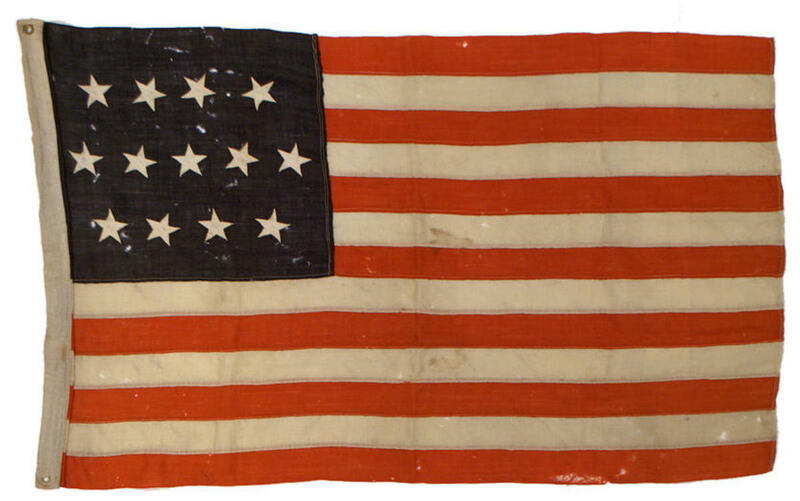 For American colonists, this was as much of a civil war as it was a war for independence. Even under ideal circumstances, with an overwhelming majority behind the cause, this was going to be a difficult fight for the Americans. This lack of unity, however, stacked the odds even more in the favor of the British. So how did those American revolutionaries manage to win? People who believe in divine providence, the “God bless America” crowd, might see this miraculous victory as evidence of the reality of supernatural intervention. While there is no way to disprove this hypothesis, it is not necessary to resort to the supernatural in trying to explain this amazing victory. In spite of seeming weaker in every tangible way when the war started, the Americans also had some important things going for them. For one, the colonists were fighting on their home soil, which had some definite practical benefits such as knowledge of the terrain and proximity to supplies. But this also had some important intangible benefits. People fighting on their home turf might fight a bit harder and longer than a soldier far from home. Also, the American civilian population, with its significant number of people who did not take sides when the war began, would tend to become more sympathetic toward their fellow colonials as the conflict dragged on. If nothing else, the patriots were fighting for their homeland. British soldiers, on the other hand, were either military professionals following orders or mercenaries fighting for money. For many of them, the thirteen colonies were God-forsaken places where they really did not want to be. These men were outsiders, and when neutral civilians are caught in the crossfire, they tend to vent their frustrations against the foreigner. By nature, outside invaders, which British soldiers essentially were, have a difficult task. They have to win battles, capture important pieces of territory, and then hold on to what they have captured as they seek to gain even more territory. They also have to transport men and materials over significant distances, securing ports and protecting supply lines. 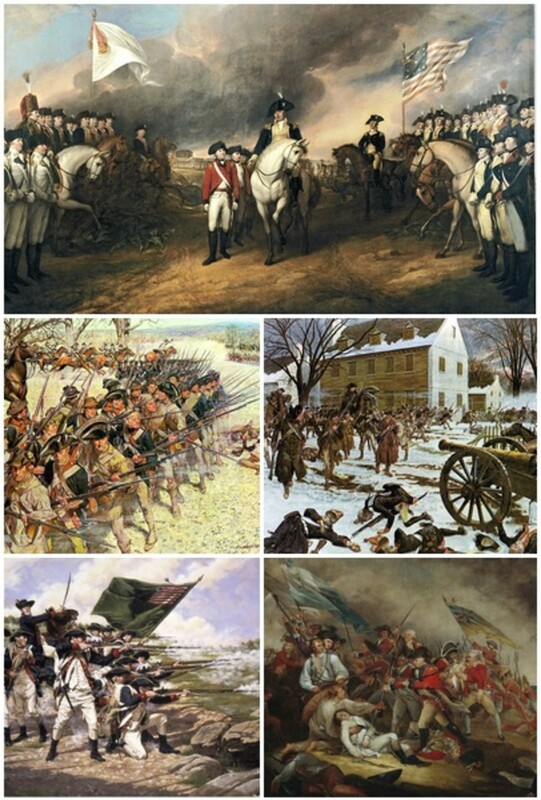 Given the technology of the late 18th century, the thirteen colonies represented a large piece of territory for the British to try to control. This task was made even more difficult by the loose political organization of the colonies. People in these areas were accustomed to being governed locally, and there was no single place whose capture by the British would guarantee victory. Also, in the late 18th century, the Atlantic Ocean was a significant barrier, and shipping men and materials was only part of the problem. Orders also moved very slowly across this ocean before the existence of telegraphs, telephones, or internet connections. And back in Great Britain, the tremendous distance separating civilians from the colonies had an important psychological effect. 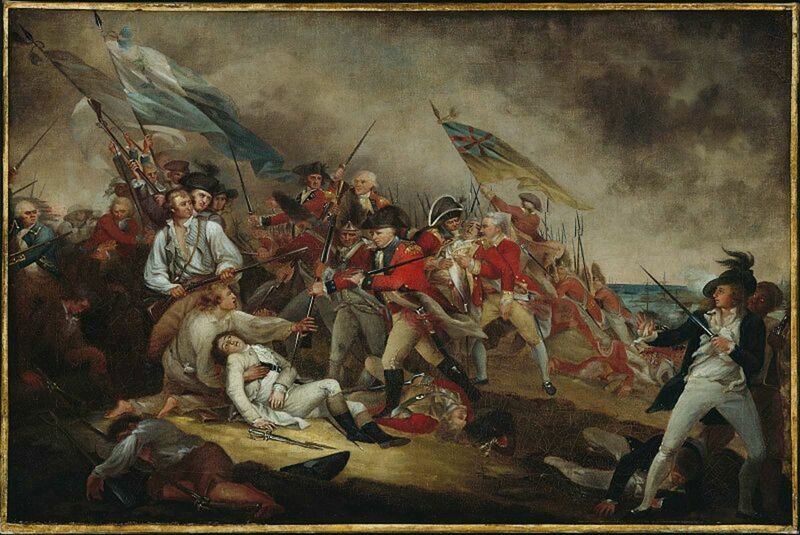 Since the thirteen colonies were so far away, and American colonists posed no direct threat to Great Britain, British civilians were likely over time to start wondering if the fight was really worth it. Victory in war often has as much to do with motivation as strategy, weaponry, and money. In the end, the winner is often the one willing to tolerate the highest level of sacrifice. When the Revolutionary War began, George Washington wanted to build an army that could take on the British in battle and win conventional military victories. But because of British advantages mentioned earlier, his army spent more time retreating in the early days of the war than winning glorious battles. Fortunately for him and his new nation, British generals, either because of indecisiveness or overconfidence, generally did not push hard enough to finish Washington off when they had the chance. When the winter kicked in, the British figured that they could just finish the job in the spring. There were also moments during these early years when Washington barely escaped due to luck or because he was wise enough to know where and when to run. Over time, Washington realized a simple truth. He and his nation’s armies and part-time militiamen did not necessarily have to win this war. They just had to not lose. So long as armies were in the field, and American soldiers and militiamen were able to harass the British on occasion, the dream of American independence was still alive. And the longer that this war lasted, the more likely it was that the British would realize that it just was not worth it any more. Washington’s biggest contributions, therefore, were not the occasional victories that he won. It was his ability to somehow keep an army in the field. And for the sake of survival, he was man enough to declare a retreat. These early Americans, however, do not deserve all of the credit for this victory. It turns out that they had some help. About halfway through the war, France, still stinging from its defeat at the hands of the British fifteen years earlier, decided to officially enter the war on the side of the American revolutionaries. (They had started to secretly send aid two years earlier.) This was not done, of course, out of the goodness of their hearts. In addition to payback, declaring war against Britain while that nation was distracted might create opportunities for France to make gains throughout the world at its enemy’s expense. Suddenly, Britain had to worry about more valuable colonial possessions in the Caribbean and in Asia. 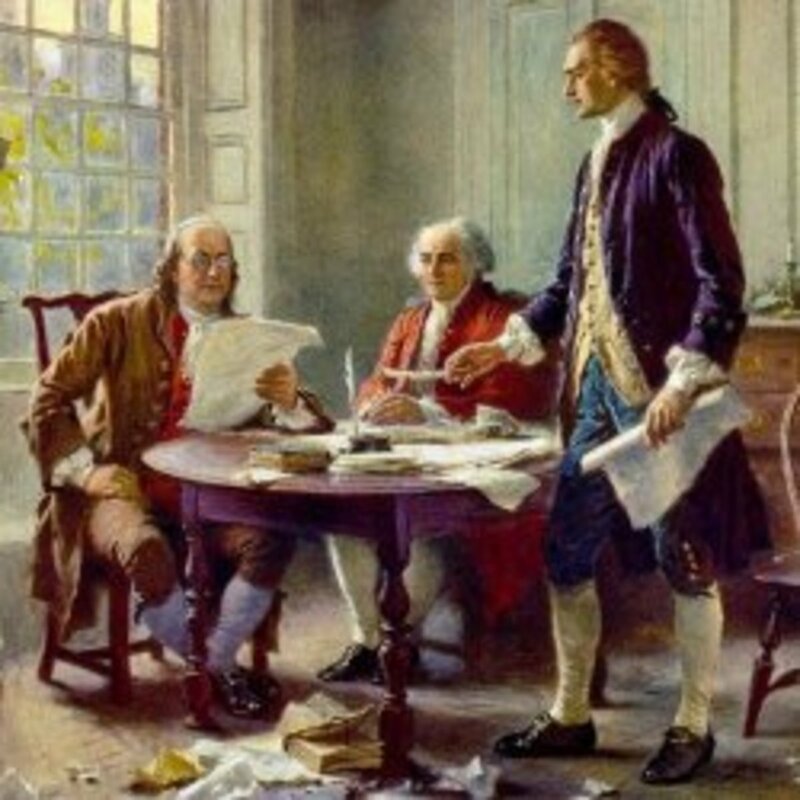 They also had to consider the possibility of cutting their losses in the thirteen colonies. 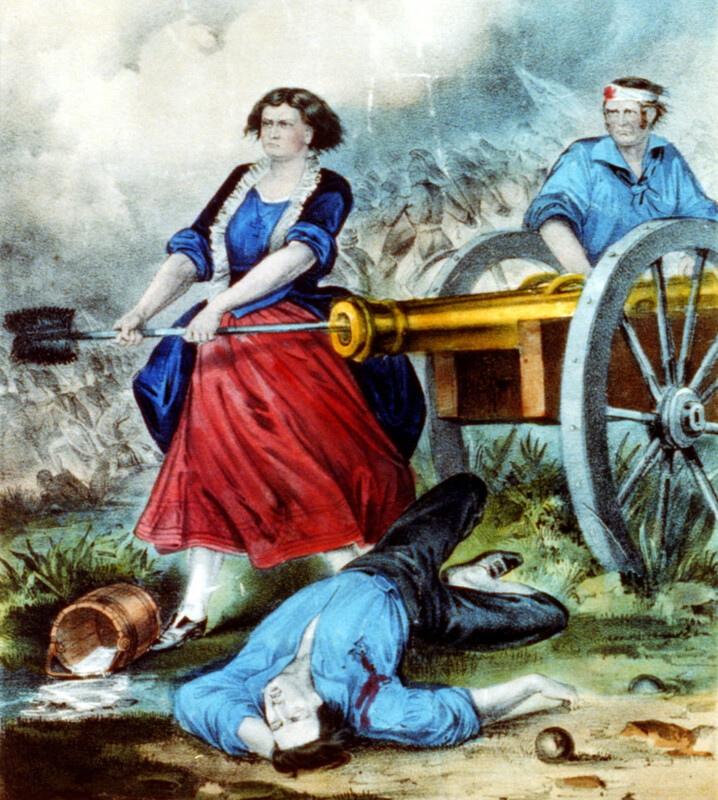 So upon France’s entry into the war, the British began focusing their efforts on the southern colonies. Because of the cash crops cranked out by their plantation economies, the southern colonies were considered much more valuable than those in the north, and there were more colonists loyal to Britain in the south as well. So as Washington sat largely idle outside of New York City, most of the action had shifted to the south. 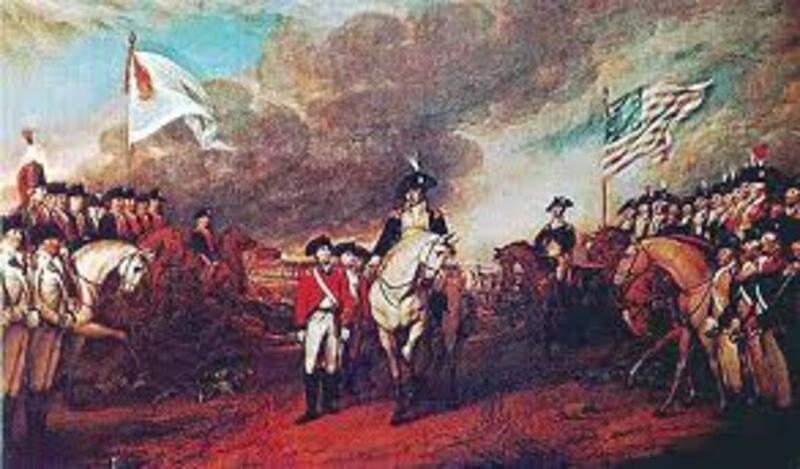 Finally, in 1781, the opportunity arose in Yorktown, Virginia for Washington, with major support from French army and naval forces, to trap and capture the main British army in the south. With the American victory at Yorktown, the British finally came to the conclusion that the costs of this war had become too high. After two years of negotiations, Britain, seven years after colonists had declared independence, recognized the sovereignty of the United States. Today, it’s hard to believe that the United States started off as a nation of underdogs. For the last seventy years, the United States has been a military superpower. And today, no nation comes close to the United States in terms of military spending and sophistication. We should have learned from the beginning, however, that power does not guarantee victory in war. With the right combination of intangibles – and maybe some outside help – the underdog can sometimes outlast the superpower. Nearly two hundred years after the American Revolution, the United States relearned this lesson in Vietnam. For many of the same reasons that my forefathers succeeded – knowledge of terrain, a greater motivation to fight, a decentralized country, distance from its enemy, outside aid – Vietnamese communists outlasted the United States and ultimately created a single Vietnam. With its more recent invasions of Afghanistan and Iraq, many fear that the United States may ultimately learn the same lesson again. In a conventional sense, the United States military seemed to achieve quick victories in both of those countries. But Iraqis, Afghans, and foreign fighters who oppose American goals in these countries are not going anywhere. And they know that as time passes, Americans will lose patience with military intervention in places so far from home. Will these insurgents, by harassing and inflicting damage on American troops, domestic security forces, and the civilian population, prove once again that the highly motivated underdog can outlast the superpower? Recent events indicate once again that patience is not one of America’s strengths, and many see the costs as just too high. In my mind, the only hope is that political leaders within Iraq and Afghanistan develop the competence and legitimacy to maintain some semblance of order. For as history has made clear, brute strength exercised by an outside power is often not enough. Even with the "irish versus british" thing there was right and wrong on both sides, mainly wrong on the british side, mind you. I think things did not work out as I would have liked them to, but that is a story for another day. I might write a hub on it sometime. I'm not sure if Britain went all out. They could have easily done more damage to the civilian population. Still, their firepower was nowhere near the modern United States. The problem for the U.S. is that they want to argue that they have helped Afghanistan and Iraq through their efforts. You can't obliterate these places and then claim to have helped them. Sorry for the mistake. 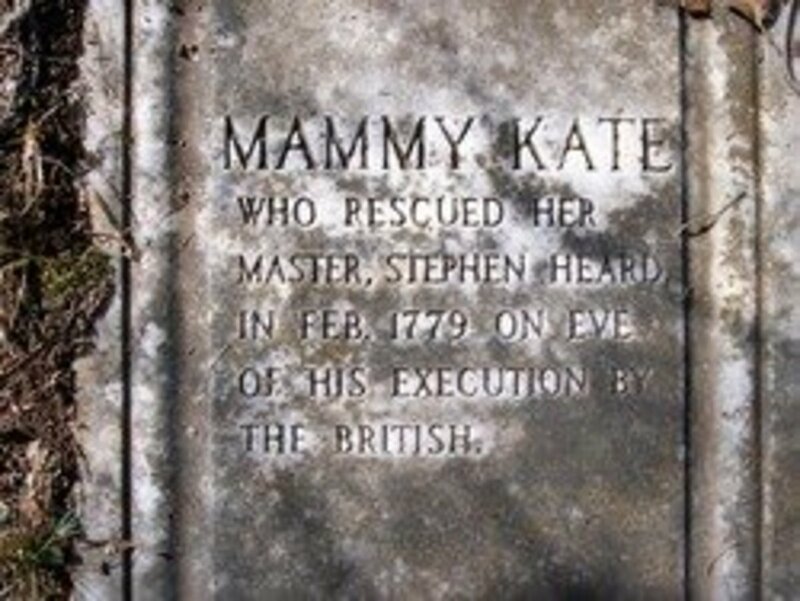 I imagine that if Irish people knew much about the American Revolution, then they would, for good reason, be sympathetic. I'm not British. I'm from Ireland and went to school there. The history lessons there were always very anti british, so they were usually in favour of anyone who was anti british, including the american revolutionaries. So any opinions, I might have, would be my own, not from my schooling. I'm not sure how it is presented in british schools, but since they hardly teach history in this country at all, most people would not have even heard of Washington, Jefferson, etc. Excellent article, again. I don't know if it's fair to compare England's "other civil war" (or American Revolutionary War, if you want to call it that) to a war of invasion (US into Iraq, or US into Afghanistan). Britain could have easily conquered the colonies in 1776, but the Howe brothers (entrusted as lead Admiral and lead General of all British forces) wanted to win back the hearts and minds of their fellow Englishmen (colonists) who lived in America. Once Britain decided to conquer their wayward colonists, they used all of their power to do so, and used all their weapons of war. If the US really wanted to conquer another country (at all costs), it could push a few buttons, then mop the non-radioactive portions of that country. So US is using a fraction of its power in largely peacekeeping missions, as opposed to Britain going "all out" to re-conquer rebellious colonies. Christopher, how is the American Revolutionary War understood and presented in Great Britain? It is the great curse of history that it's lessons are seldom learned. Excellent over-view professor. Particularly appreciated you pointing out the general advantage armies and militia fighting largely from conviction have over paid, mercenary, and even at times highly professional troops.